Liquid filler drawn by capillary action into the joint. 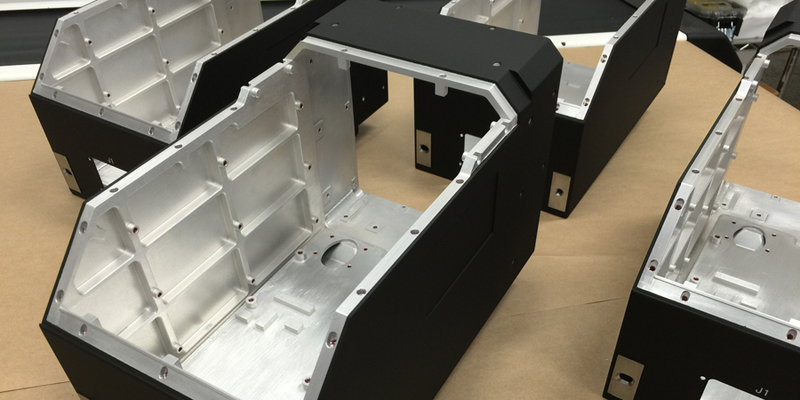 Complete in house design and manufactruing of all tooling, details and final machining. 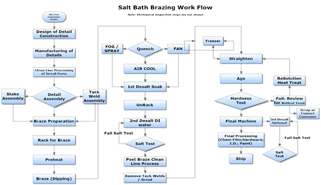 Salt bath and Vacuum brazing processes are ideal methods of creating strong metallurgical bonds between many individual aluminum detail components at one time in one operation. 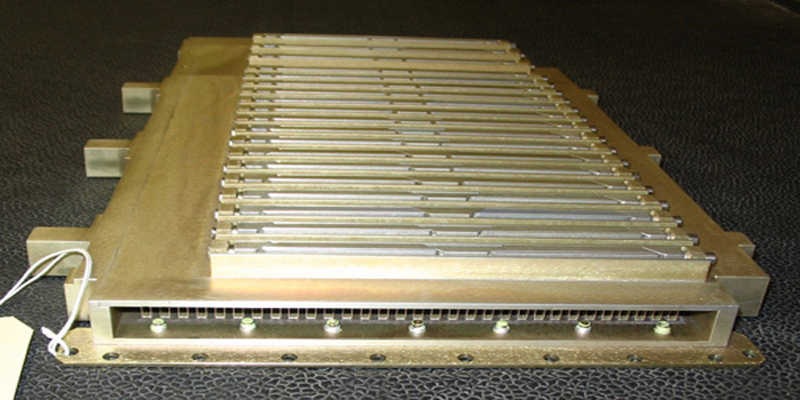 Typical results achieve thermally conductive, leak tight joints with continuous smooth braze fillets that exhibit excellent EMI / RFI shielding characteristics, and joints strengths that can equal, or exceed parent material strengths under application of proper design methods in thinner material thicknesses. 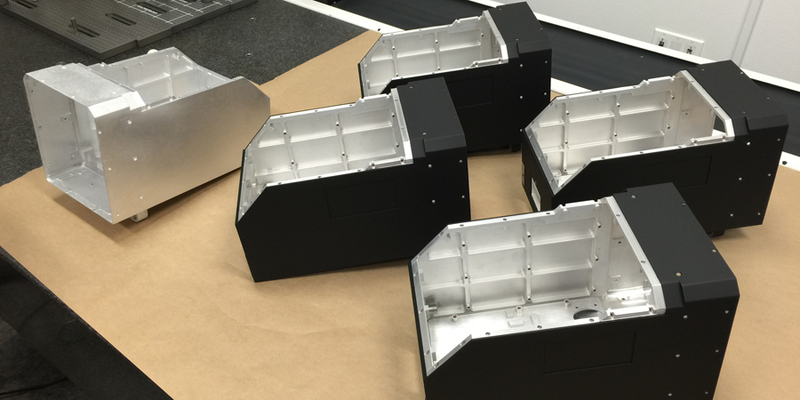 Assemblies are detail designed with considerations to the final applications, service environment, and tolerances required. Individual details are chemically etched to remove surface oxides. These cleaned details are brought into close contact with filler metal typically placed between the individual parts. 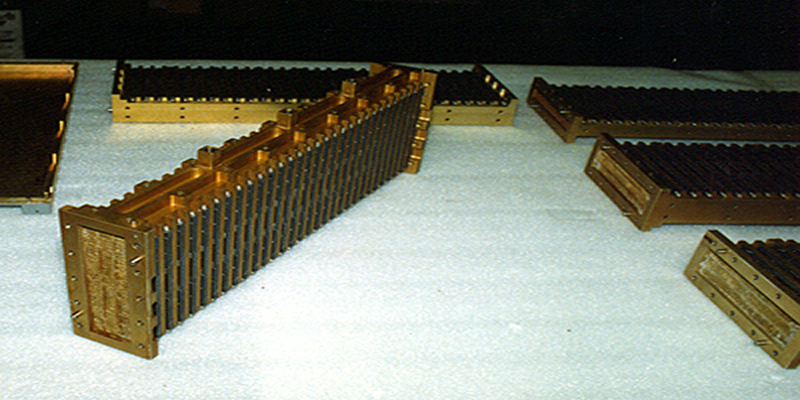 Assemblies are held in position by various means, including tack welds, self-fixturing such as tab and slot, or hard fixtures. Additional filler can be applied in the form of wire, or paste. 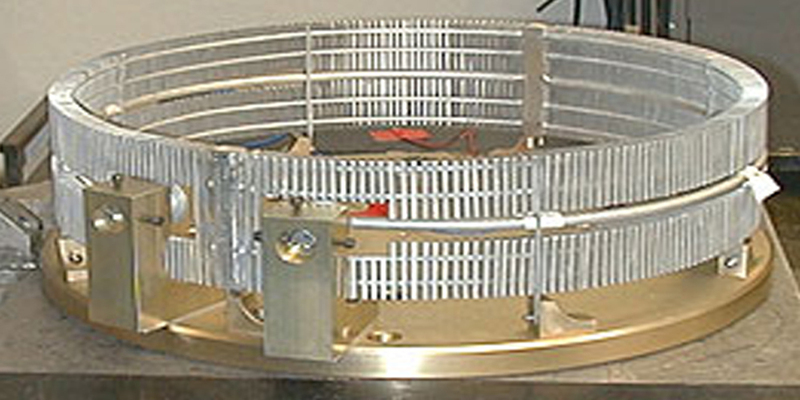 Parts are placed on stainless racks and preheated to 985°F in air furnaces, removed and slowly immersed into the salt bath which is controlled to 1098°F, a point above the filler alloy melting point, but below the parent alloy. 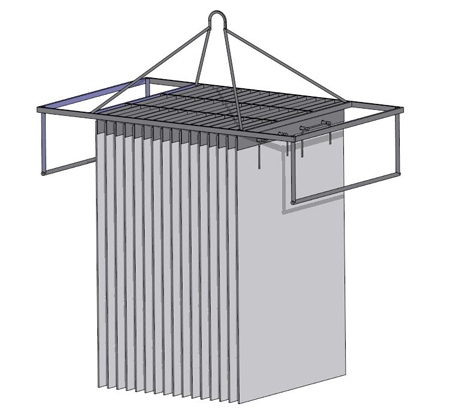 After the appropriate time, typically a few minutes, the fixture with the parts are removed and quenched, (cooled rapidly) usually with forced air or a spray fog of air and water to allow redevelopment of the mechanical properties with the minimum of distortion. Parts are cleaned of residual fluxes, straightened, and precipitation hardened (aged) for 8 hours at 350°F during which mechanical properties of the parent material are maximized. Tack welds if used as a fixturing method, and any residual braze filler are ground off in a manual operation. 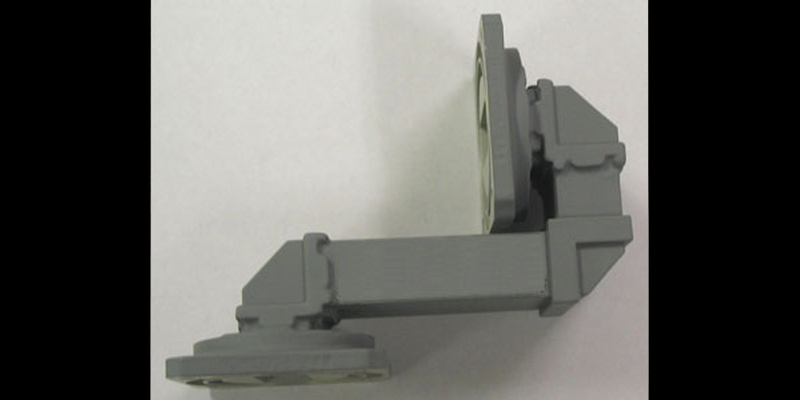 Assemblies requiring close tolerances are typically designed with final machining stock left in the required areas and cnc machined to requirements. 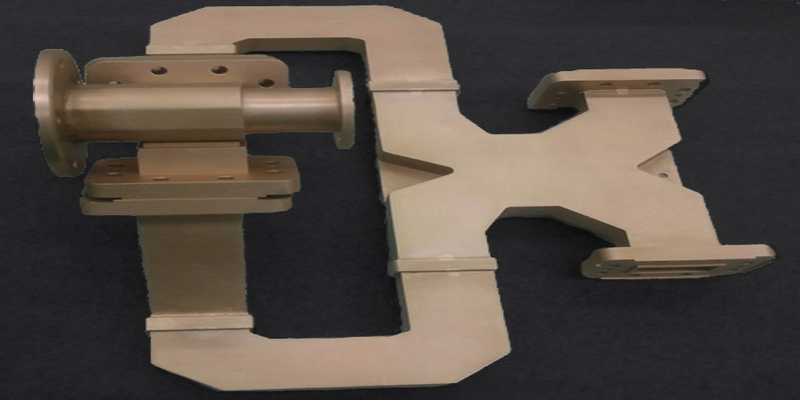 Experience is the key in successful outcomes on aluminum brazed assemblies. 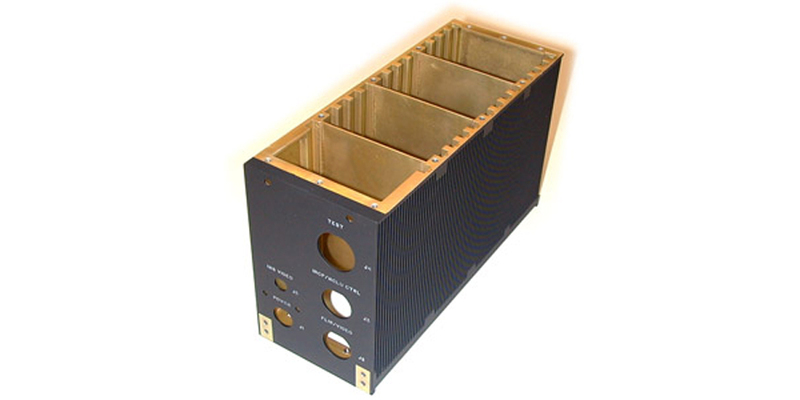 In depth knowledge of process capabilities, and limitations, allows us to assist your engineers with appropriate design and tolerance considerations for producible product at the lowest manufacturing costs. The common specifications we work to are: AWS C3.7; Mil-B-7883; AMS 2770, as well as customer specific specifications. 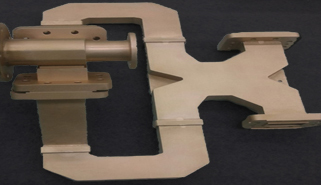 With over 35 years experience in the design and manufacturing of complex CNC machined and brazed assemblies we retain in house control of the critical processes of: detail design, construction methods, detail component / tooling fabrication and final machining processes. 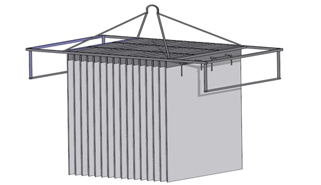 We create the detail and tooling designs in CAD. We model form, fit and function. 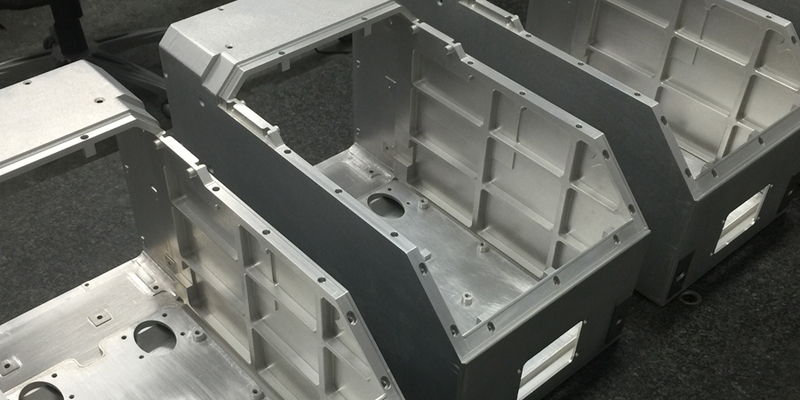 Engineering fit up studies, and tolerance – stress - flow and thermal analysis are performed when required to validate our design prior to manufacturing release. Our subcontract braze partners are provided detailed requirements based on applicable specifications and our experience, and are closely monitored to assure compliance. This in house control of the critical processes insures successful product delivered on time. 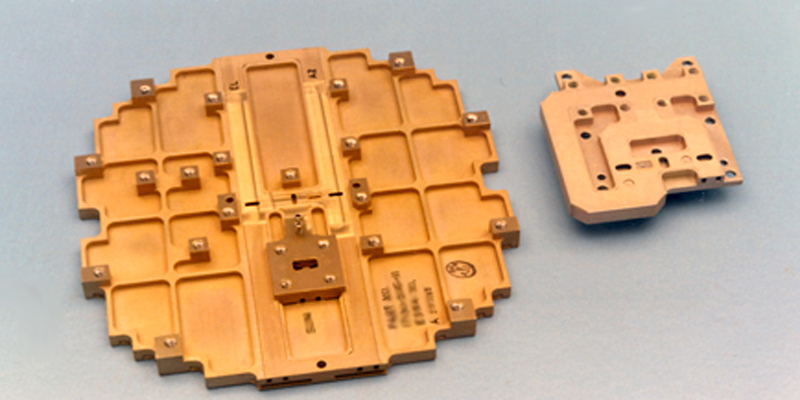 Waveguide, Antennas, and other microwave assemblies are produced with Dip Brazing. 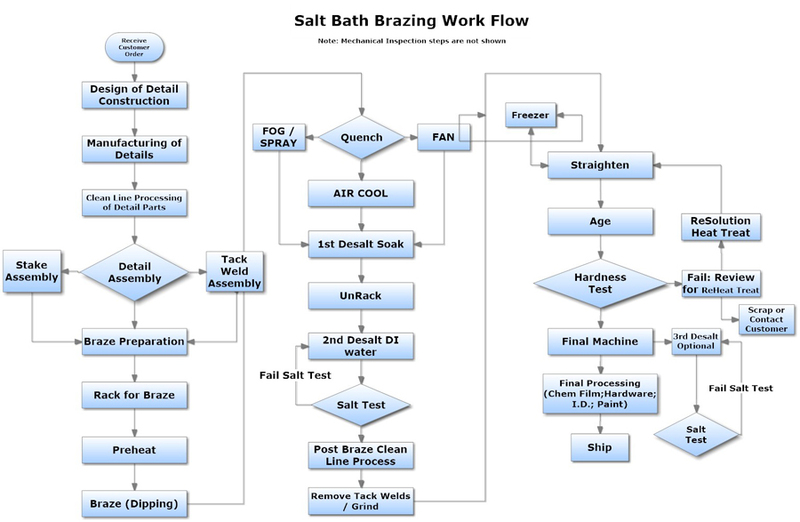 Typicall Salt Bath Brazing process flow.